• PLOT SUMMARY: Prepare for the ultimate behind-the-scenes experience from the event of the century! 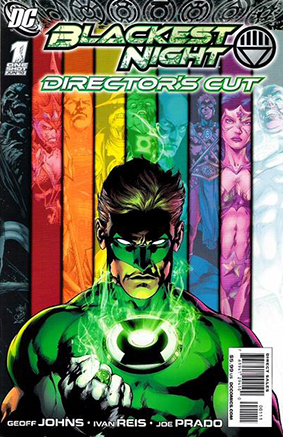 With the creative minds behind BLACKEST NIGHT as your tour guides, you'll marvel at hidden Easter eggs and meanings throughout the series in our director's commentary section. Discover shocking scenes that were left on the cutting room floor including actual script pages that were never drawn. Be astonished at incredible never-before-seen designs from the best-selling event! Plus, many more exclusives that you'll witness within this mammoth special including an early look into BRIGHTEST DAY! Featuring contributions from GEOFF JOHNS, IVAN REIS, DOUG MAHNKE, JOE PRADO, PETER J. TOMASI, PATRICK GLEASON & others. Cover by IVAN REIS.